Horizon 2020 reinforces the co-financing for public procurers around Europe that address common challenges by undertaking PCPs or PPIs jointly. New synergies between Horizon 2020 and the Structural Funds (ESIF) are also possible from 2014 onwards for co-financing PCP and PPI projects. Presently, SERN is involved in Learning Technology Accelerator Project (LEA), which is preparing the first cross-border European PPI in the educational sector in autumn 2018, a new PCP in spring 2019 and wants to showcase the excellent opportunities for procurement of innovation within that sector. During Autumn 2018, LEA project is holding webinars about innovation procurement in Learning technology field. In these webinars you will learn about innovation procurement instruments such as, PCP, PPI and innovation partnerships, what is currently available in the learning technology market 2018 and how to apply for additional funding. In each webinar, Innovation procurement and learning technology experts will discuss these topics for about 15-20 minutes, after which participants can join the discussion. LEA Webinars take place every second Wednesday at 10:30 am CET. Join for free at: https://connect.jyu.fi/lea/ (Adobe Connect). More information about LEA project here. Innovation procurement can drive innovation from the demand side and deliver solutions to challenges of public interest. This enables faster modernization of public services while opening market opportunities for companies in Europe. Public Procurement of Innovative solutions (PPI) is used when challenges can be addressed by innovative solutions that are nearly or already in small quantity in the market and don’t need new Research & Development (R&D). Currently however, compared to other parts of the world, PCP and PPI are underutilized in Europe. To balance better supply and demand side innovation policies, the European Commission is reinforcing the policy framework in Europe for procurers to use Pre-Commercial-Procurement (PCP) and Public Procurement of Innovative Solutions (PPI). 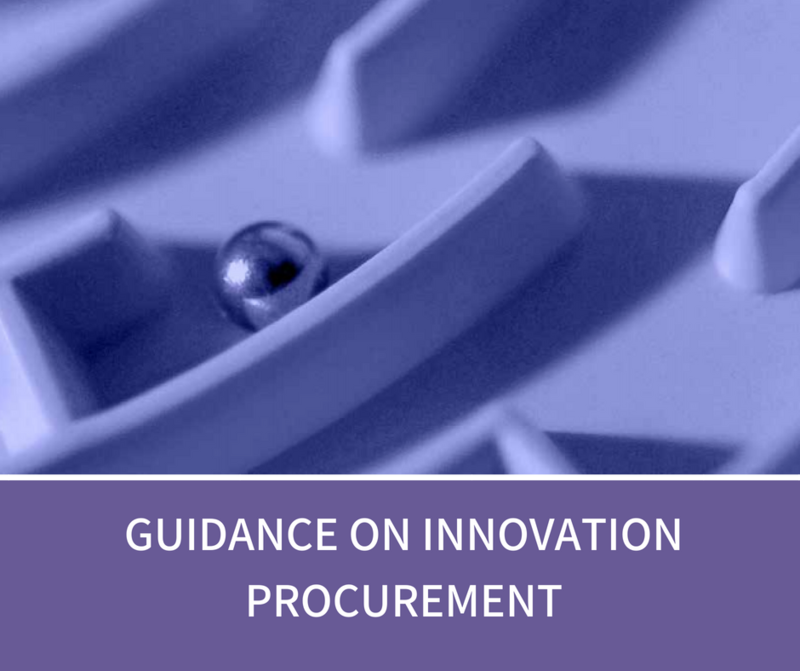 The “Guidance on Innovation procurement”, published on the 15th of May 2018, offers practical guidance on innovation public procurement, clarifies what is innovation procurement, outlines how to setup a policy framework and describes how different public procurement procedures can be put at work to modernize public services with innovative solutions and create growth and jobs for innovators in Europe. The comments that SERN made in response to the online consultation about the guidance were all considered. It is now a matter of ensuring that Member States really start implementing those recommendations.